With fresh local blueberries in abundance now, I’m afraid I got rather carried away at the market last weekend. With two big cartons in the refrigerator, even having a big heap of them on my cereal every morning wasn’t making enough of a dent in the supply. By mid-week I knew I needed to find more ways to tackle my over-zealous blueberry purchase! Given that I’ve been in the mood for baking lately, and on a lemon kick, I thought I’d try muffins featuring these two flavours. And what a match blueberry and lemon turned out to be! 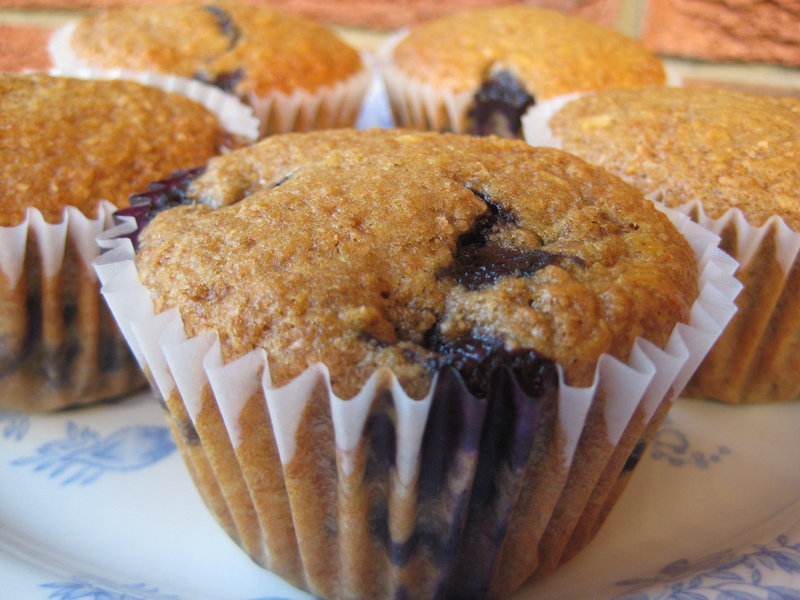 In addition to being super tasty, these muffins are light, moist and healthy to boot. Not that you necessarily think about that while you’re eating them. All you’re really thinking about is whether anyone would notice if you take another one (or two). Go for it — they’re good for you! 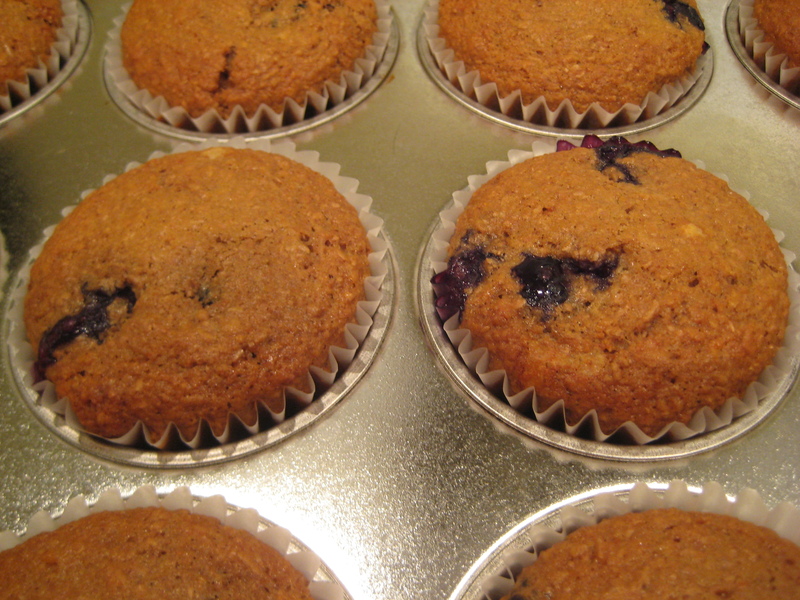 And besides, I have enough blueberries left to whip up another batch! Slightly adapted from Anne Lindsay’s Lighthearted Everyday Cooking, sponsored by the Heart & Stroke Foundation of Canada. Pre-heat the oven to 375º. Makes 12 muffins. In a large bowl, combine the dry ingredients, including the lemon zest. Add the milk mixture and mix until just combined. (It doesn’t have to be completely lump-free.) Gently stir in the blueberries. 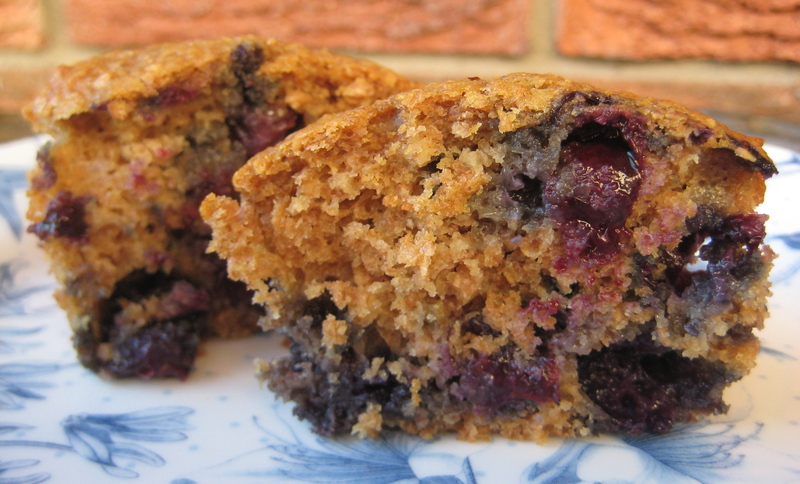 Spoon into muffin tins lined with paper muffin cups. Bake for 20 – 25 minutes, or until firm to the touch. Muffins like this are very versatile. We ate them for breakfast and I took some to work for a mid-morning snack. The Culinary Enthusiast also took a supply to work, and reported that they were joyously received. How’s that for positive reinforcement! Thank you, Mad Dog! It didn’t last long after I took that picture! Oh, I will, but I have to frost those chocolate cupcakes first! 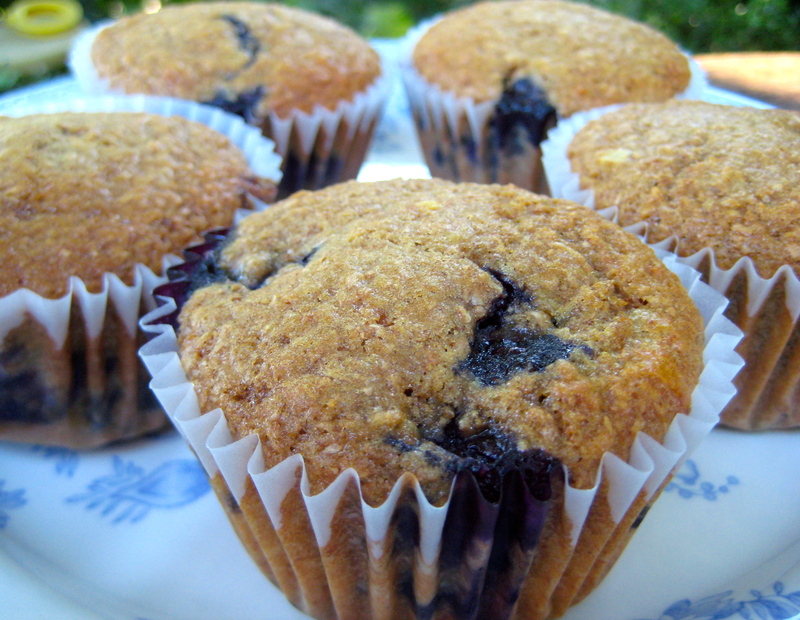 I love raisin bran muffins but blueberry, lemon and bran have to be terrific. Hey Karen I have to agree with you, these muffins are terrific! I’ve gotten lots of positive feedback from people we shared them with. Hope you get a chance to try them soon!